Commercial Lockers, Commercial & Residential Mailboxed. Industrial Lavatories & Sinks: What are some of my choices for employee break room lockers? 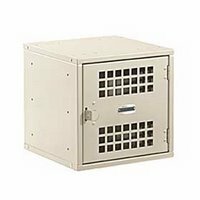 What are some of my choices for employee break room lockers? Employee lockers are made to provide your staff with a safe and secure place to store their belongings when working. With the many different design and size choices you can select which works best for your employees. Whether they will need to store a uniform when they aren’t working or personal belongings like keys, purses, or wallets when they are, they will feel comfortable leaving them unattended in an employee locker. Break room lockers give employees an easy place to store their lunch or snack for their break without requiring them to leave the facility. Not only is this more convenient for them but break room lockers will increase the chances that they will return back to work on time. 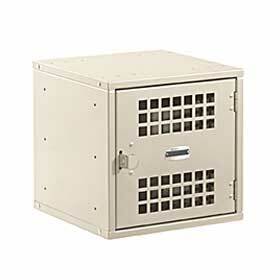 Lockers are offered in a variety of materials from metal and wood to recycled plastic. Depending on your space and budget, locker configurations range from one tier to six tiers or more in compartment choices and in heights from 9” to 72” tall. With the great variety of configurations and color choices to blend or accent your break room, these lockers are sure to solve for a secure and safe niche for each employee.